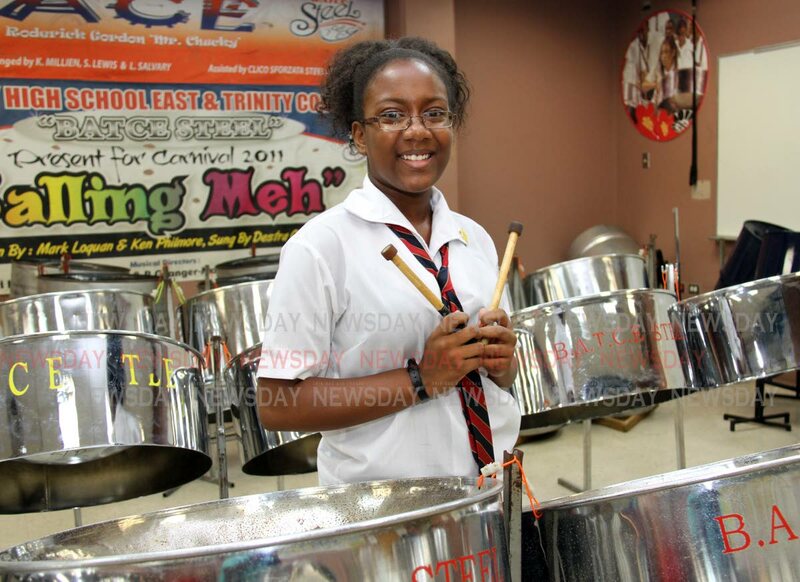 Initially, Sydney Nichols wanted to become a doctor but when she was introduced to the steelpan at the age of seven, those dreams were thrown out the window. Now, the 11-year-old hopes to one day start her own music school to teach music theory and the steelpan. Nichols started playing the steelpan as part of the music class at Guaico Presbyterian Primary School. 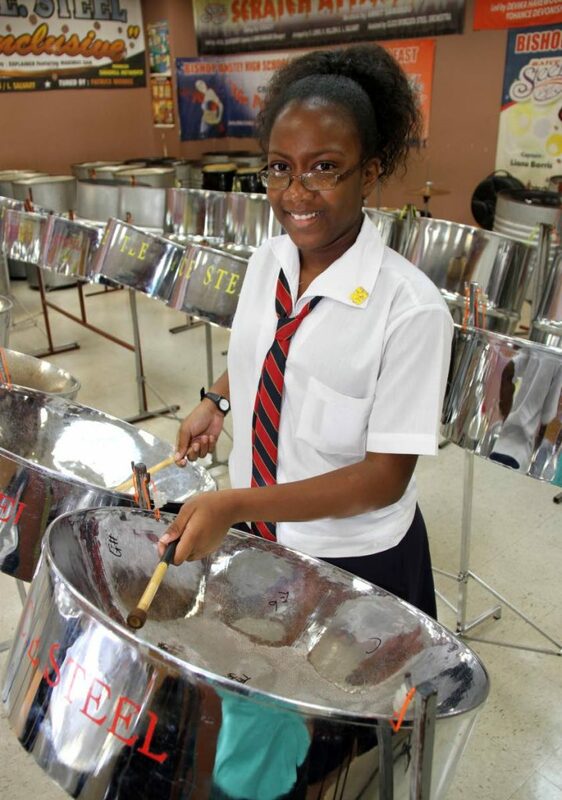 She said a few months after she started playing pan, the teacher chose several of her classmates and herself to be part of the Guaico Presbyterian Steel Orchestra to compete at the junior panorama competition. She said at her first finals she was nervous but also very excited and happy to play. She plays the single and double tenor pans. She liked the sounds they make, and the different songs that could be played. Playing also relaxes her. Nichols went on to become the section leader of the orchestra’s tenor-bass, and double-seconds, and was the captain in 2017 and 2018. Outside of primary school, she studies music theory with Republic Bank Exocubs Music School where she is currently in grade four, and is doing grade three in pan practicals with the Mannette Academy of Music. In school, she maintained an A grade average. She would do her homework and study during her breaks and after school before pan practice with the orchestra, and would attend Exocubs on Saturdays and Mannette on Sundays. 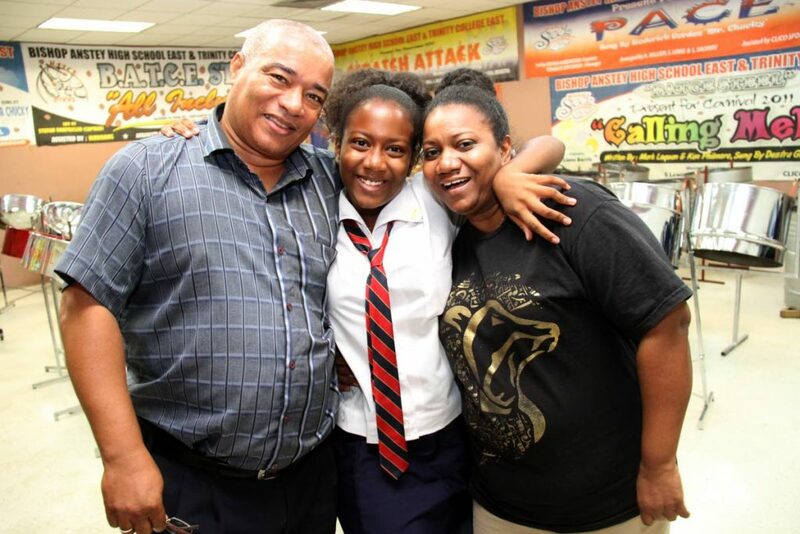 To make things even better, with the recommendations of some of her tutors, and against convention for a form one student, she was placed in the school’s senior steelband, Bishop Anstey and Trinity College East Steel Orchestra. Nichols also has a lot of plans for her future. She would like to be a part of the senior panorama competition one day with either Silver Stars or Supernovas Steel Orchestra. She also wants to go to Europe to study to become a musician, certified in different instruments. She used to play the keyboard and guitar, and would like to continue learning more, including the violin, and one day play in an orchestra. Proud parents Shannon Nichols and Annehara Guy with their dauther Sydney Nichols. However, her main goal is to become a music teacher and if she could not start her own school, she would teach anywhere. Her parents, Shannon Nichols and Annehara Guy, lived in the African country for 12 years, and her brother was also born there. Her older sister was born in Trinidad. Those who wish to see and hear Nichols play can visit her YouTube channel and Facebook page, both called SydRocs. Reply to "Sydney’s love for pan"